Also worth noting, if you haven’t done so already, install Service Pack 1 http://support2.microsoft.com/kb/2880556 first if installing the November 2016 CU. The script does require some additional modules / DLLs to work. Firstly you will need the Azure AD module installed, this can be downloaded here: http://connect.microsoft.com/site1164/Downloads/DownloadDetails.aspx?DownloadID=59185. You will also need the SharePoint Online and Project Online CSOM DLLs. The DLL’s used are from the NuGet package here: https://www.nuget.org/packages/Microsoft.SharePointOnline.CSOM/16.1.5521.1200. There are later version available, check here: https://www.nuget.org/packages/Microsoft.SharePointOnline.CSOM. Download those as required. These modules can be seen here on line 3,5 and 14 in the example script, the location will need to be updated to reference the correct location for your SP / PS Online CSOM DLLs. This blog post will demonstrate a simple example of how Microsoft’s PPM tool, Project Online, can include data from an external system. This is a very simple example using a demo CSV mock up of data that could be from an external system. The CSV part could easily be replaced by a SQL query or a REST API query to the source system etc. As you can see, my imagination for example project names has not improved! The code uses the Project Name as the key between the two data sets – the CSV file and PWA so the names will need to match. The DLL’s used are from the NuGet package here: https://www.nuget.org/packages/Microsoft.SharePointOnline.CSOM/16.1.5521.1200. There are later version available, check here: https://www.nuget.org/packages/Microsoft.SharePointOnline.CSOM. Download those as required. 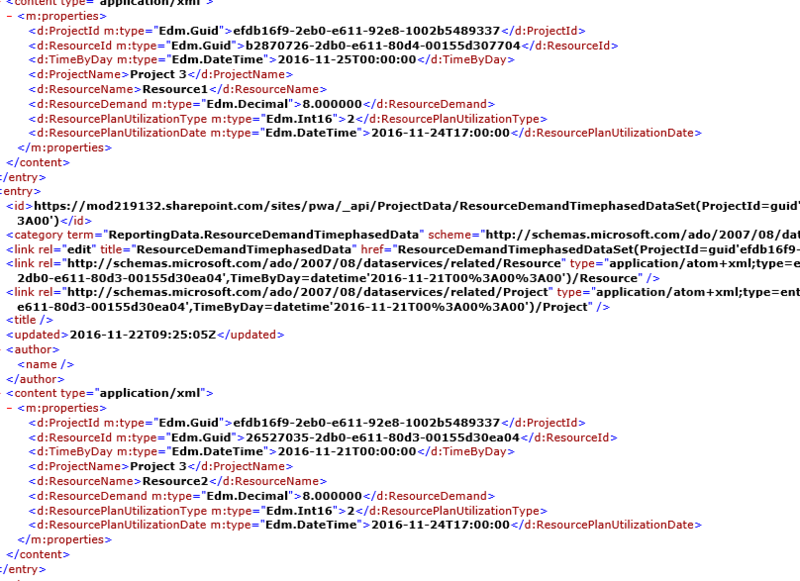 This PowerShell script could be run on a schedule from a server on-prem or even in Azure. The script would just need access to the data to import (CSV file etc.) and the DLLs. Fully test this script on a test / non-production PWA instance before running on a Production PWA instance.